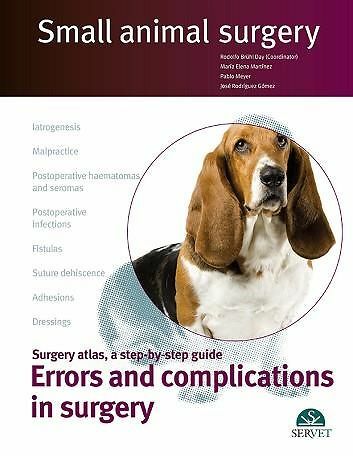 This new book in the Small Animal Surgery series has been designed as a review of the surgical errors and complications that may occur in daily practice, so that veterinary surgeons can learn to prevent them or resolve their consequences. The book includes QR codes to view videos of some of the techniques described as an aid to understanding them. It is intended for surgeons starting their professional careers and residents, as well as more experienced veterinary surgeons, since it must not be forgotten that error can occur at any time, no matter how much experience a clinician may have.